Dr. John Yoseph has been creating a staple in dentistry on Chicago's Northwest side for almost 20 years. In April 2004, Dr. John Yoseph's opened Optima Family Dental's Portage Park location in the heart of Chicago's Six Corners neighborhood. During his years of practice Dr. John Yoseph has attended many continuing education as well has participated in several advance training courses. 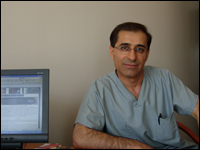 Dr. John Yoseph is certified to place implants, Invisilign, and do comprehensive orthodontic treatment. Dr. Pauline Yoseph started her dental career in downtown Evanston and quickly grew her presence in Chicago's Northshore community. 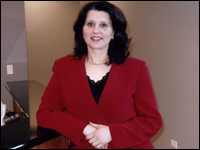 In 2007 she enhanced her staple in the Northshore community and opened our second Optima Family Dental office in Lincolnwood. This office was built from the ground up, designed specifically to offer you and your entire family quality dental care in a state-of-the-art facility. Our entire team at Optima Family Dental is looking forward to helping you LOVE your smile!!!!! !